Seriously? OMG! 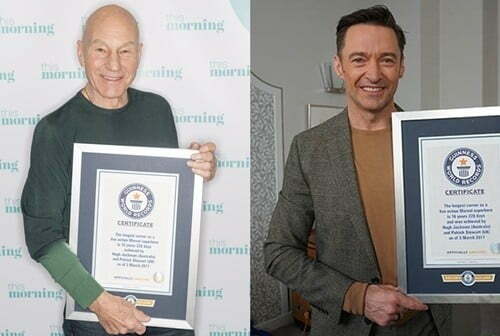 WTF?Sir Patrick Stewart/Sir Ian McKellen Archives - Seriously? OMG! WTF? Who wouldn’t want to play . It is the best role ever. Can you think of any other character that would top it? I cannot. I mean no matter what else Stewart does, he will forever be know as  and that is an honor in my book. Does  watch their hands? We are just over 2 weeks from The Emoji Movie hitting theaters and today Sony released a clip from the film. The scene takes place in the bathroom and we get to meet  and his little Sh!t. The character voiced by Sir Patrick Stewart and his son come out of the toilet and the mini- says, “Should we wash our hands?” A question that has perplexed scholars for the ages! I ❤️ The Emoji Movie trailer! The first trailer is out for The Emoji Movie and I am anything but  about the ️️. It looks like it will make us  from the beginning until the end. Plus, there are so many ✨ in it like TJ Miller, James Corden, Steven Wright and of course Sir Patrick Stewart as . I love that scene of him coming out of the  with his son. So ! I don’t know about you, but I am going to  to the  to see on July 28th because it looks like pure ! I will even splurge on the .